Proposing an increase in the fine for illegal short-term home rentals from $250 to $5,000 is just one of several new measures Sarasota County staff is working on to try to curb those activities in neighborhoods of single-family homes. 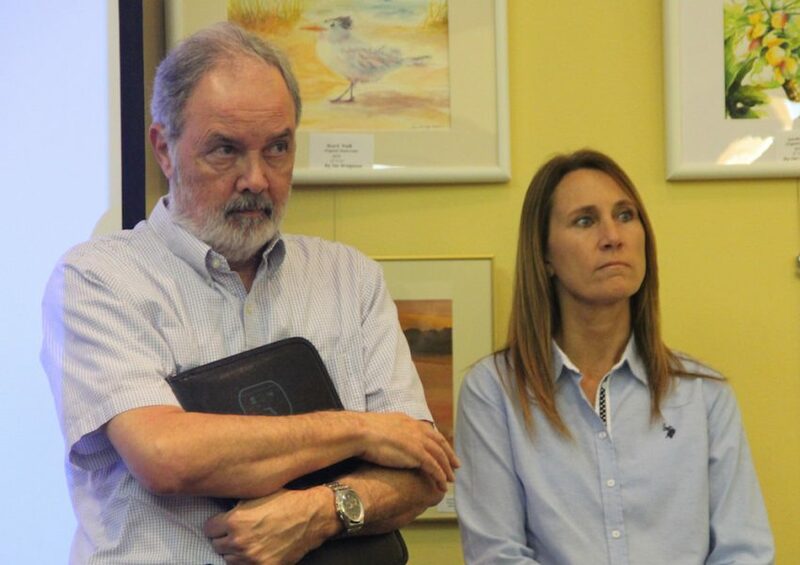 That was the news Matt Osterhoudt, director of the county’s Planning and Development Services Department, told about 90 people at the January meeting of the Siesta Key Association (SKA). “From $250 to $5,000 is a substantial difference,” he pointed out. County staff plans to ask the County Commission to schedule a formal public hearing on the proposed fine increase, he told the SKA audience. After the date for that hearing has been set, Osterhoudt added, he will make certain the SKA board is aware of it, so the directors can let the members know. “It’s pretty much a one-line change to our [Unified Development] Code,” he noted of the proposal, but it would apply to all Code Enforcement cases. One example of a situation that could result in a high-penalty case, he continued, would be persistent loud partying in a single-family neighborhood at a home that is being rented out more often than the county regulations allow. “We may need some sort of assistance” from residents in the neighborhood to back up that enforcement effort, Osterhoudt pointed out, including “some sort of affidavit” regarding problems residents have had to deal with because of the illegal rentals of the home. When asked if the state law referencing “irreversible injury/ irreparable harm” includes any criteria for applying that enforcement measure, Osterhoudt said he was not aware of any. County staff would have to use that on a case-by-case basis, he added. Staff also is looking into the potential of using the section of the County Code regarding transient accommodations in cases of repeated turnover of renters in single-family residential areas, Osterhoudt said. Staff has been consulting with the Office of the County Attorney on that, he noted. Section 124-305 of the Unified Development Code says, “Transient accommodations shall include hotels, motels, inn, extended-stay facility, bed and breakfasts, boatels or other similar use.” Transient accommodations are not allowed in residential single-family (RSF) zoning districts, he noted. “What might pop into your mind” in the context of transient accommodations, Osterhoudt said, “is a couple of days, in and out” for a visitor. Finally, staff is working to determine whether the use of citations would “assist us in our Code Enforcement efforts,” Osterhoudt pointed out. As chief of Planning and Development Services, he explained, he has oversight of the Code Enforcement staff for the county, and that staff handles illegal short-term rental violations. 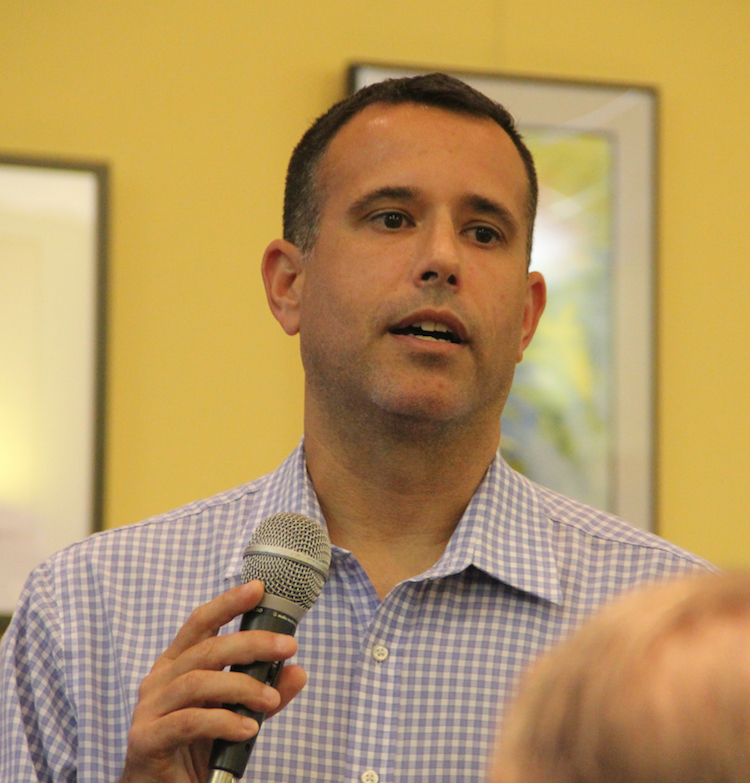 Additionally, in response to a question from an SKA member, Charlie Marchione, North County supervisor of the Code Enforcement Division, said that discussions have begun with the Office of the County Attorney to explore whether staff might be able to cite not only owners of property, but also real estate companies that illegally rent homes on behalf of owners. “It’s done around the county,” Marchione said of real estate agents handling rentals that violate local government regulations. Osterhoudt also talked of ways members of the public can assist Code Enforcement officers in building cases against property owners who violate county regulations. Accumulating sufficient evidence is a necessity, he stressed. That is “one of the biggest challenges,” he added. Osterhoudt and Assistant County Administrator Brad Johnson handed out fact sheets to the audience members that provided details about the sections of the county zoning regulations to which Osterhoudt referred during his remarks. That flyer also explained that the Sarasota County short-term rental provisions were enacted before a state law went into effect in 2011. That state law pre-empts local governments from regulating the duration or frequency of rentals or vacation rentals. Therefore, Osterhoudt pointed out, the County Commission has to be careful not to amend its ordinance in such a manner that that would lead to the state telling the county that the county no longer could enforce its short-term rental regulations. At the outset of the Jan. 10 presentation, Osterhoudt emphasized the difference between single-family residential zoning — RSF neighborhoods — and residential multifamily, or RMF, zoning districts. In RSF zones, he said, no dwelling may be rented more than once every 30 days. In RMF zones, he noted, that does not hold true. Among the difficulties in dealing with illegal short-term rentals, Osterhoudt noted, is the fact that county staff cannot see the actual transactions, which may occur online, in person or over the phone. “Our general Code Enforcement process is very focused on something called ‘voluntary compliance,’ and it is not fast,” he told the audience.